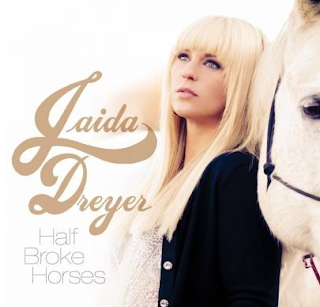 The True Gossip Home / jaida dreter half broken horses interview thetruegossip album february 26 / Jaida Dreyer Streams New Single "Half Broke Horses"
Jaida Dreyer Streams New Single "Half Broke Horses"
Country singer-songwriter and Streamsound Records recording artist Jaida Dreyer is set to release her debut album, I Am Jaida Dreyer, on February 26th. The album will be available on all major digital retailers, including iTunes and Amazon. The single, "Half Broke Horses," is streaming now on Jaida's YouTube. The breakout release features 10 original songs written or co-written by the singer and is produced by Grammy award-winning record producer Byron Gallimore (Tim McGraw, Faith Hill, Sugarland). The album features a special guest appearance by Sugarland’s Kristian Bush on the track, “Boy Who Cried Love,” which she also co-wrote. Dreyer added, "I'm overwhelmed by the love and space I've been given to make my art. This record is a collection of different moments in my life. I hope people connect with the songs and recognize moments of their own life in them."